I love it! 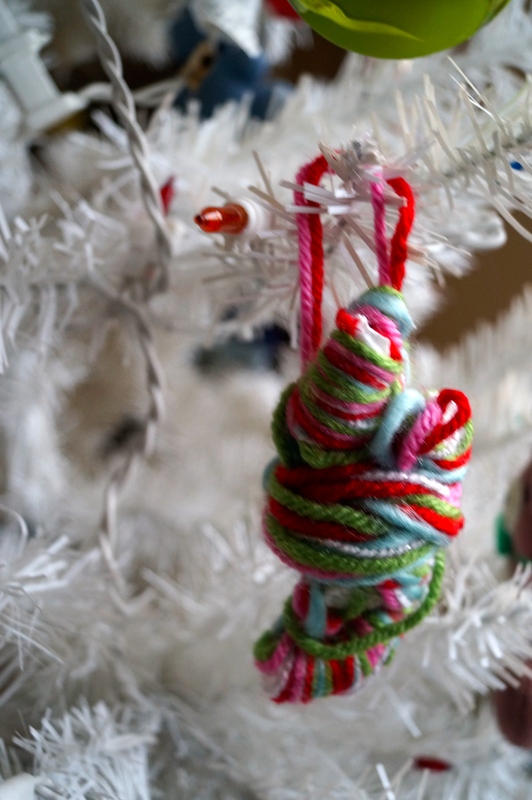 The oddball stuff in my Christmasses past were usually things a child made…and lovingly saved. 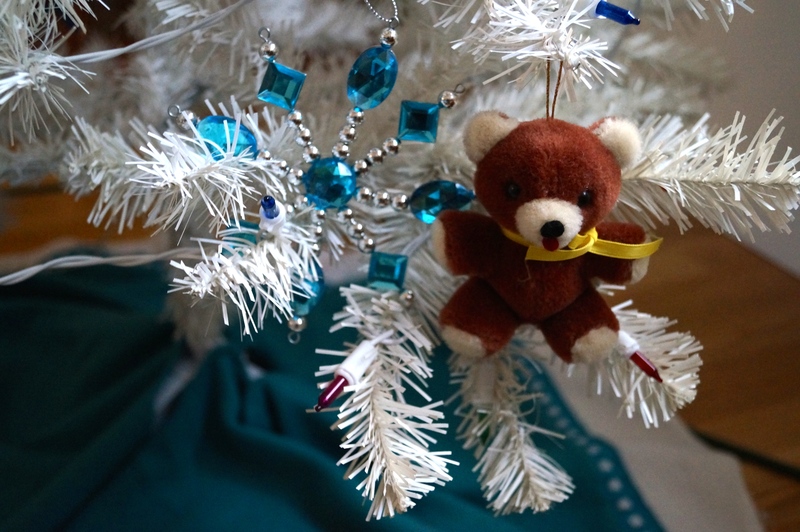 Nowadays, I have three miniature trees decorated with whimsical things…the handmade, sentimental ornaments went to the kids. They co opted them! 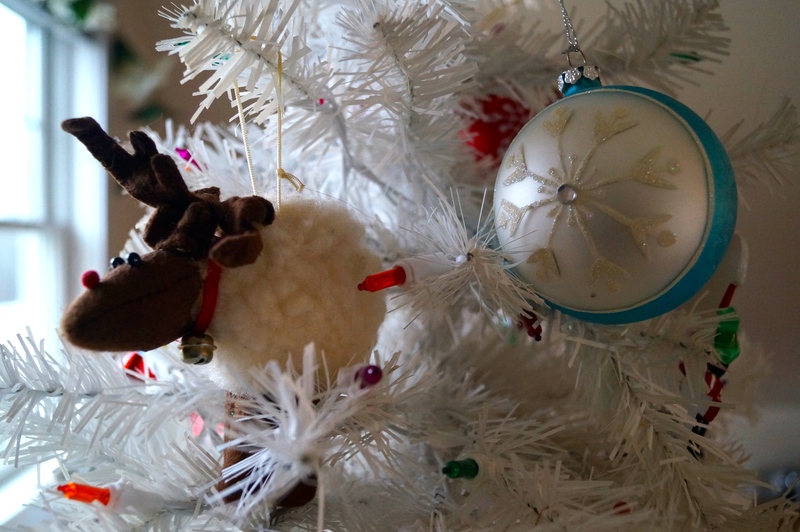 Re checking out mom’s tree for homemade as a kid….uh-oh. A wonderful way to look at it. The imperfect with the perfect. I wish we were there to see it. Merry Christmas! And the imperfect being perfect in their own way 🙂 Merry Christmas to you too! I agree. Clearly a fatal design flaw. “I’ve realized it’s the oddball, mismatched items that I like best”—Yes! Same here. For the same reason as you–the memories they invoke. Yes, our first Christmas here. Not nearly as snowy as I thought it would be. Merry Christmas to you too! 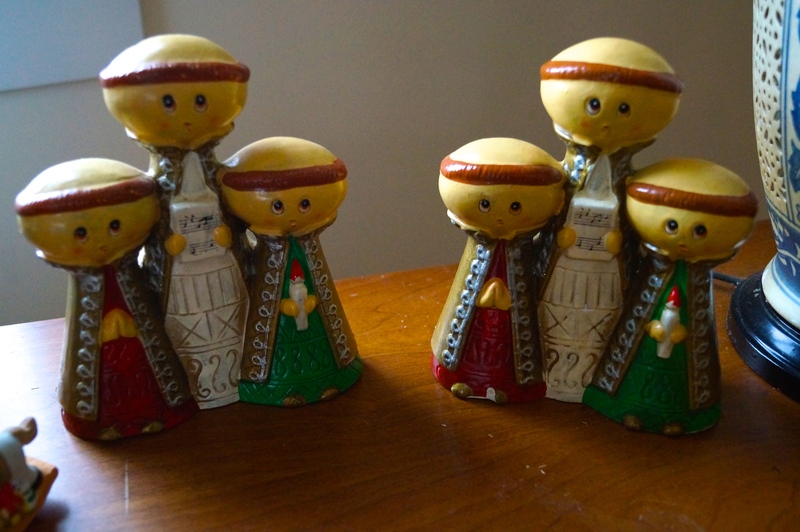 Awww…I love the “oddball” ornaments! Our house is filled with that stuff. We have room for more than one tree, but we only have one, and it’s certainly a hodgepodge of homemade and store bought ornaments. Merry Christmas! Well, next year you’ll have to get another tree. It makes it very festive having them throughout the house 🙂 Merry Christmas to you too! Well, you’re one up on me: my first Christmas in my first place away from home and I have nothing but a small (yet real) Christmas Tree sitting on my coffee table. I did go a step further and display the cards I received, but apart from that my place is a Christmas-free zone. I had great plans for writing over the Christmas break, but seem to have lost all my creative energy! Jennifer, that looks absolutely awesome – seems you have a knack for decorating. Our home is cluttered with kids toys and the occasional hidden diaper that’s gone rancid. The cinnamon candles somewhat hide the smell. Somewhat. Anyway, hop you had a good holidays! If it makes you feel any better we have the occasional cat puke left in just the right spot on the floor, so that you are always destined to step in it. For some reason, that does make me feel better… but I would like to note that ageing diapers progressively smell worse. Give them a week and you feel like taking a vacation at the dump. Thank you for painting such an odoriferous picture. I’m going to go smell some pumpkin scented candles now. 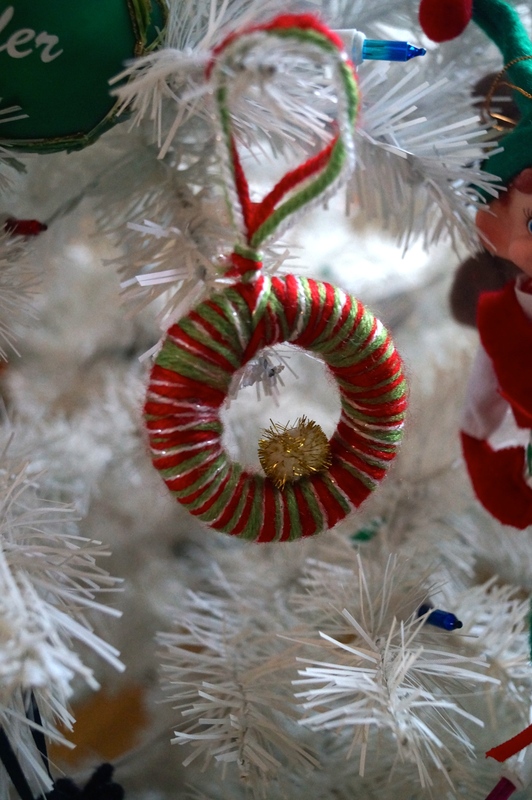 I cannot believe you had two decorations almost touching one another…. might take me a while to get over that one. I bought some new ones for this Christmas just gone, decided to go down the be-glittered route and everything was sparkly. 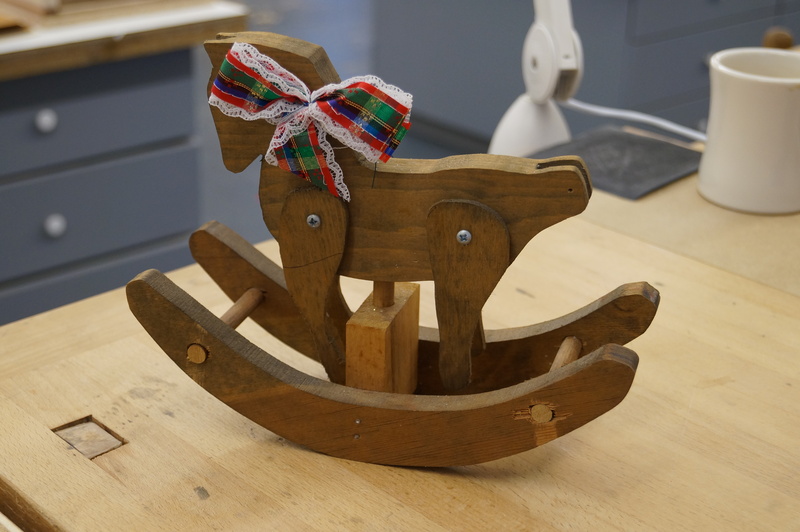 Loving that rocking horse – definitely Logan was born to work wood. I think anything I ever made at woodwork at school was shockingly bad. I dislocated the same thumb twice in the space of 5 mins in one class while trying to change a drill bit on a bench drill. Oh, I bet the sparkly was pretty!